Tick Tock. You have only just 5 seconds to keep a new visitor on your business website. Keen to Design ensures that your visitors not only remain on your website for longer but also becomes customers. Are you looking for a web designer in Rockdale? At Keen to Design, we understand that attention to detail means everything when it comes to your online presence. From the time we begin a new relationship with a client, our team works to understand that company’s goals, business model, and resources. Through years of experience, our web design Sydney agency have created a streamlined web development process that helps our clients launch their web initiatives successfully. 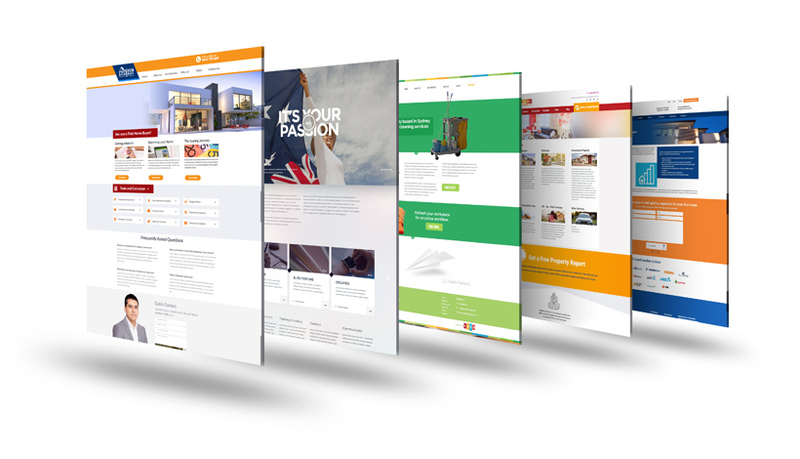 Keen to Design provides comprehensive custom website development services for businesses in Rockdale and surrounding suburbs Kogarah, Wolli Creek, Arncliffe, Ramsgate, Beverley Park, Monterey and Turrella . We first agree and brainstorm together on your new website then we develop a site that is beautiful and functional and is found in search engines.Benefit from our other expertise such as web applications, mobile development, and online marketing services. Keen to Design can take care of the complete process for you: from logo to graphics and from website design to website management systems. We have divided our services into website development, hosting and graphic design. Keen to Design has years of experience in developing websites. Here we mainly choose a personal approach and quality service. Only when we get to know you and your organisation, we understand your objectives, and we know how to design your website in such a way that it delivers the maximum result. Throughout the development process, we keep close contact so that both parties are not faced with surprises afterwards. Keen to Design is a full-service web design agency. This means that we are not only good at designing and realising websites, but also in everything else that comes with it. This way we ensure that your website is standard search engine friendly and that it is linked to Analytics so that you can keep track of the web statistics. You can also contact us for additional web applications such as a webshop or secure login environment. Also, we advise you on online marketing strategies, and we can take care of online marketing for you. We know all areas, whether it is programming, designing, copywriting or online marketing. We are also always aware of the latest technological developments, for example when it comes to mobile websites and apps. We think along with you, and we think ahead so that your website is always ready for the future. We have a solution for every issue. Your website should be attractive and high functional. It must live up to your expectations. That is why we, continuously focus on your specific objectives. Our customers see their website visit increase, customer loyalty is strengthened, and more leads are gained. We charge a fixed, low hourly rate for all our services. Economic and transparent. First of all, we will sit around the table with you and together we will discuss your wishes and requirements. We want to know as much as possible about your (future) website, such as: what purpose do you have in mind, who is the target group, or what will the content be? However, also issues such as colour use, the global menu structure and how you want to manage the website are discussed. With the information from the first interview, we go to work: we translate your wishes and requirements into a website concept. Based on this concept description, we then issue an hour estimate or, if desired, a quotation. Deadlines and other preconditions are also laid down in this. After approval of the quotation, we work out the concept in wireframes. These wireframes indicate schematically where information is to be found and how certain parts will function on the website. You can compare a wireframe with a construction drawing of a house. This step is only relevant for large and complex websites, with smaller sites just main pages wireframes are designed. After consulting with you about the wireframes (step 3), we start with the design of the website. The wireframes are now further filled in and formatted with colours, illustrations and forms to show how the website will look like. With smaller websites, we make a design directly, usually from the homepage and a general text page. We take into account as much as possible your house style in the design, so that your website is recognisable for the day. We will introduce the plan to you. After your approval of the design prototype, we are going to build the website. The design is converted into HTML codes (a unique programming language for internet) and at the back comes a management system (CMS) with which you can maintain your website. After supplying the global menu structure and the accompanying texts (you can also choose to have these written by us), we place this content on the correct pages. Additional services may also be developed in this step, such as an online payment system for an online store. After the completion of the website, we ask you for a final opinion. If you are satisfied, we will put the website online. We also arrange the set up of your hosting environment for you if required. After your website has been uploaded and made live, we will remain your contact. You can contact us with your questions, and of course your website content will have to be updated from time to time. You can easily do this yourself with our CMS. Of course, we can also maintain your website for you. Why choose us for Website Design in Rockdale? Outstanding reputation. Keen to Design has helped more than 20+ small businesses get online. Top Notch web design at a small business price. Content management system. Our service allows you to be in full control of your website. Great local support. Our friendly support team are always available 24 hours to help. For a free, no-obligation consultation- Contact us today 02 9804 6930!